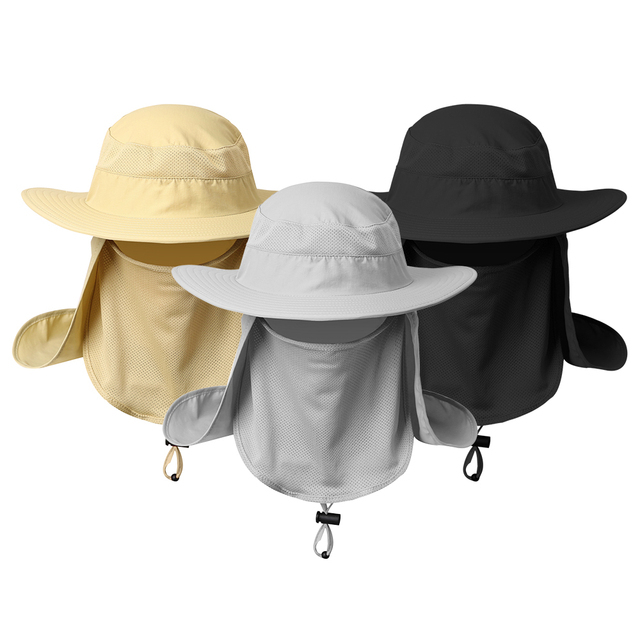 This cap is lightweight, quick drying and breathable. 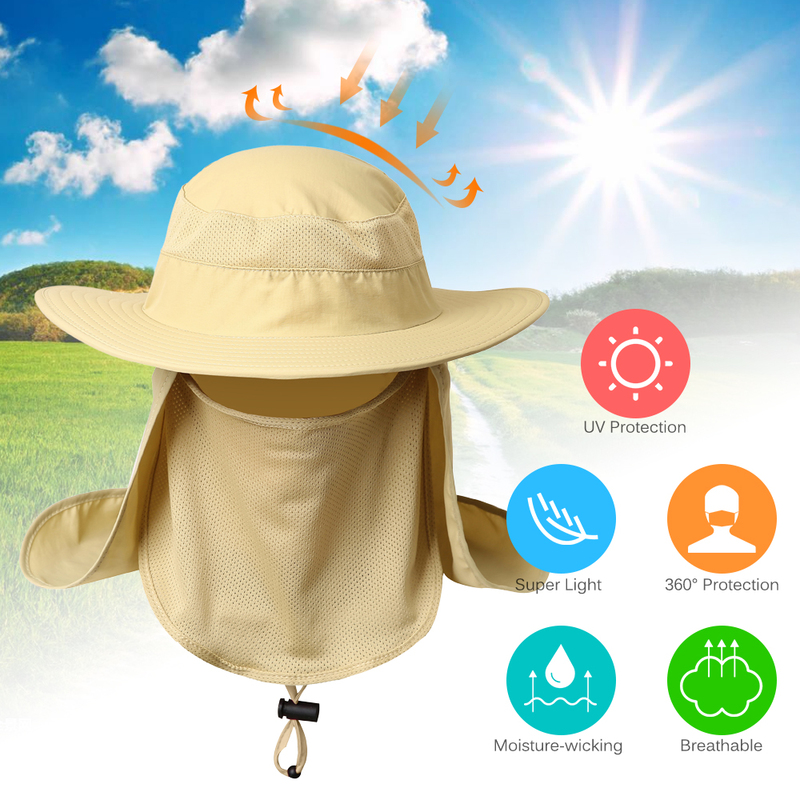 It includes a face cover and neck cover to protect your skin from harmful UV rays. 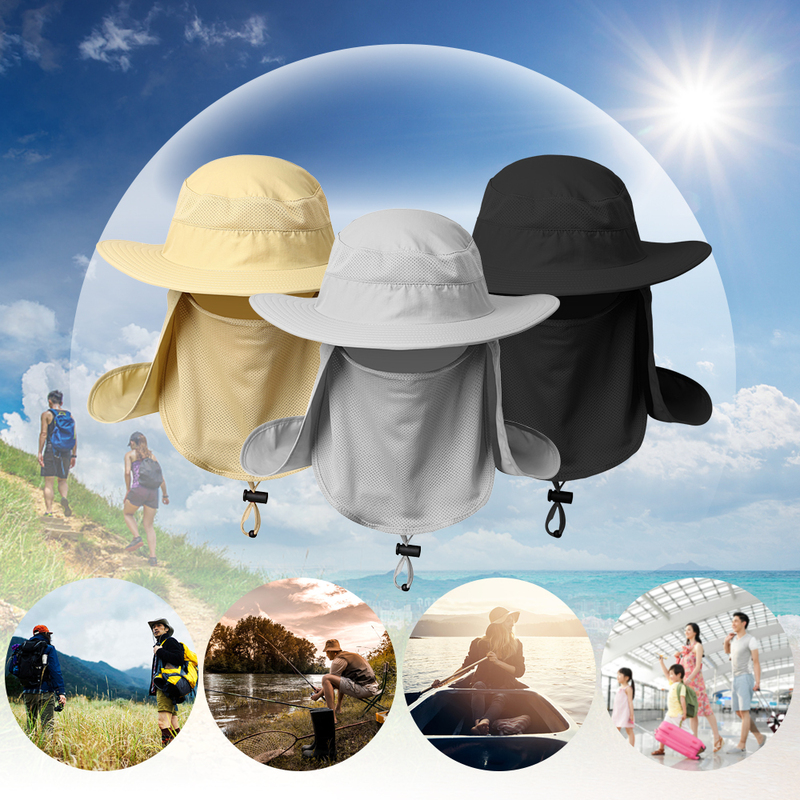 It is a must-have for camping, hiking, fishing, gardening, traveling and other outdoor activities. 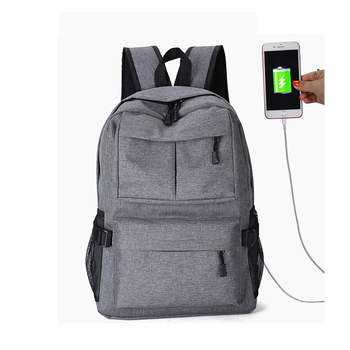 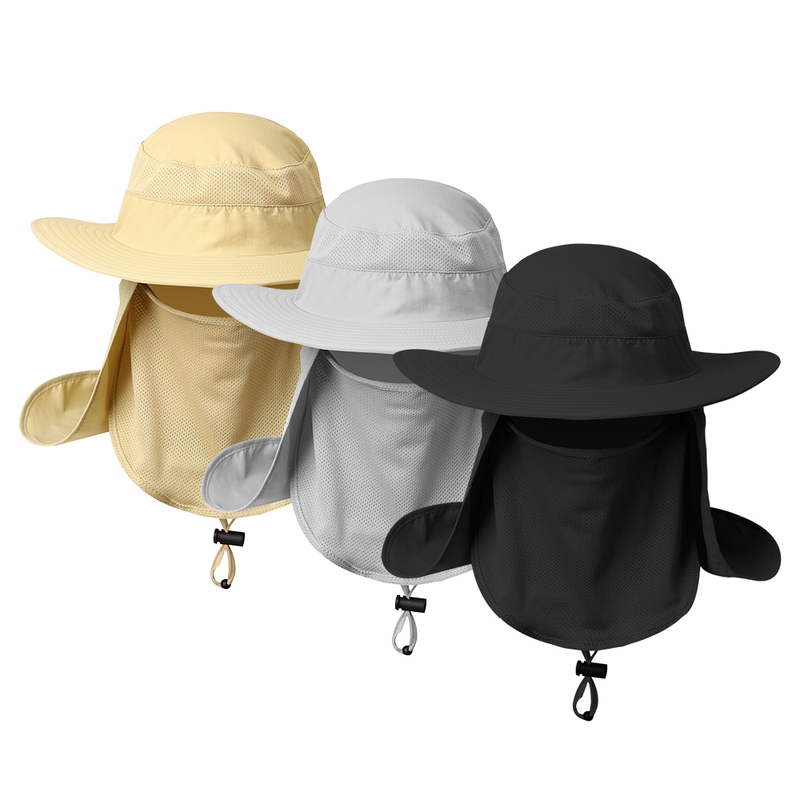 Made of nylon fabric, lightweight, quick drying and comfortable. 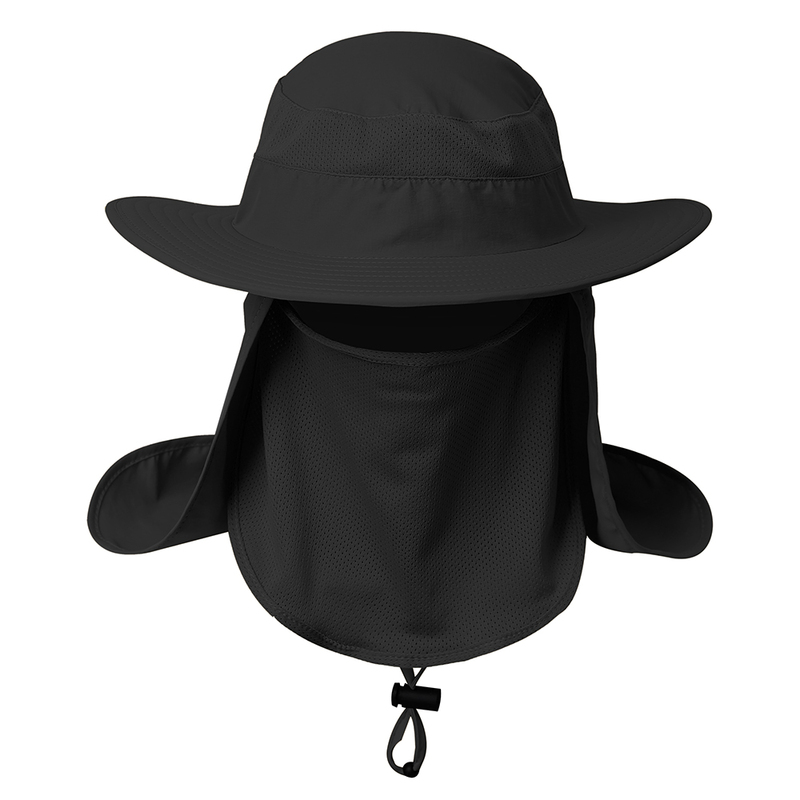 Wide brim provides more shade and prevents glare. 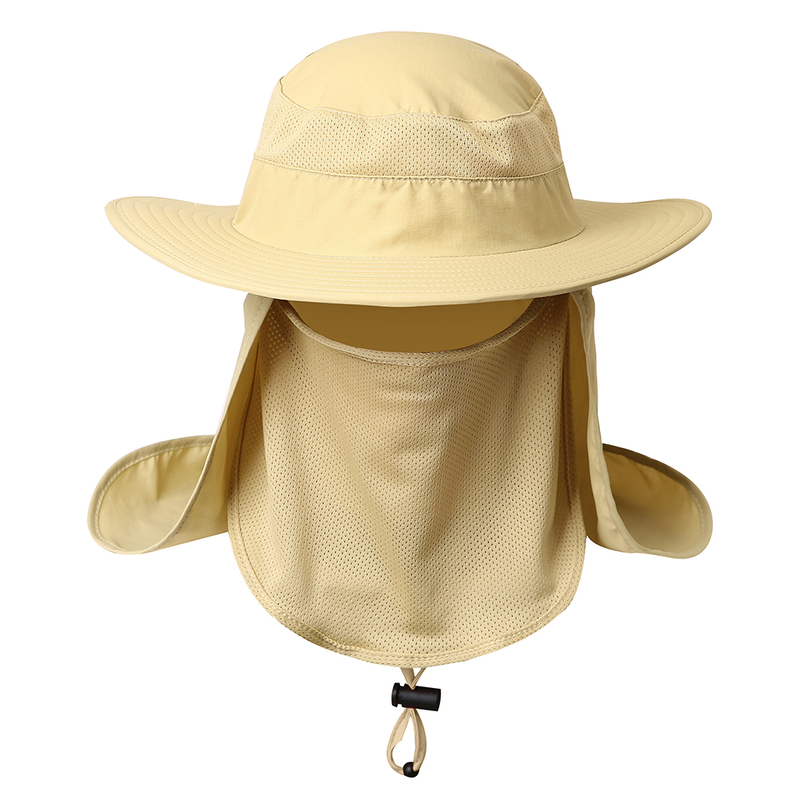 Removable face and back covers protect your ears, face, neck from sunburn. Mesh vents allow for cooling air flow through the cap. 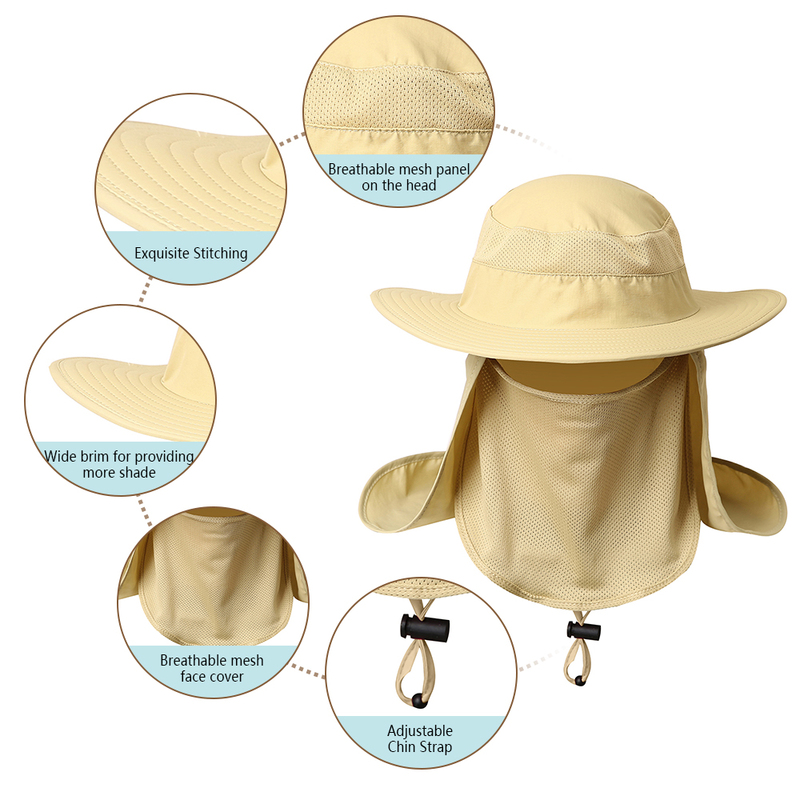 Adjustable chain strap holds the hat in place in windy days. One size fits most. 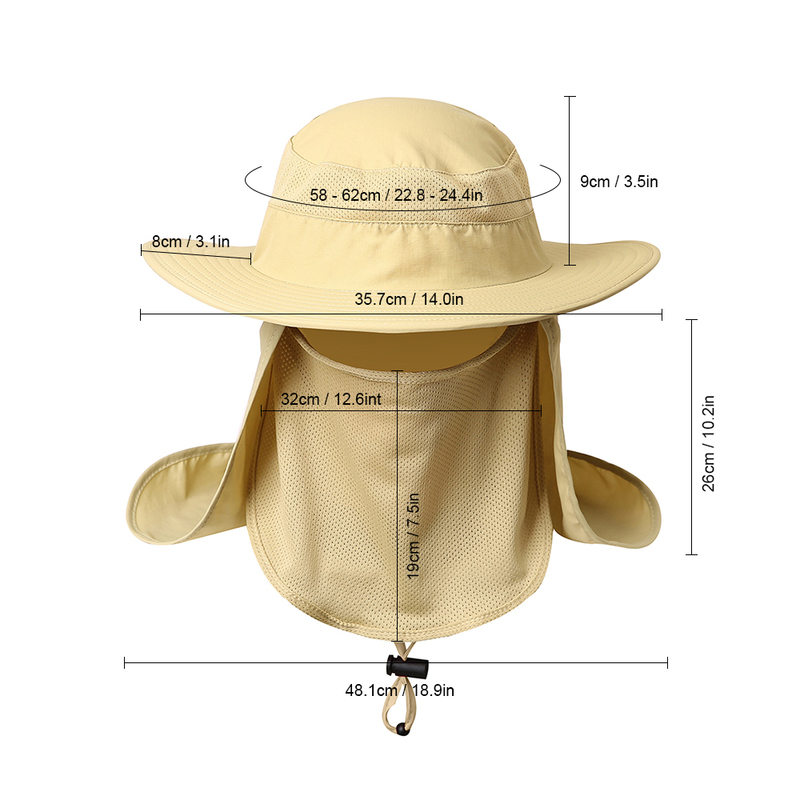 Head circumference: 58 – 62cm (22.8″ – 24.4″). 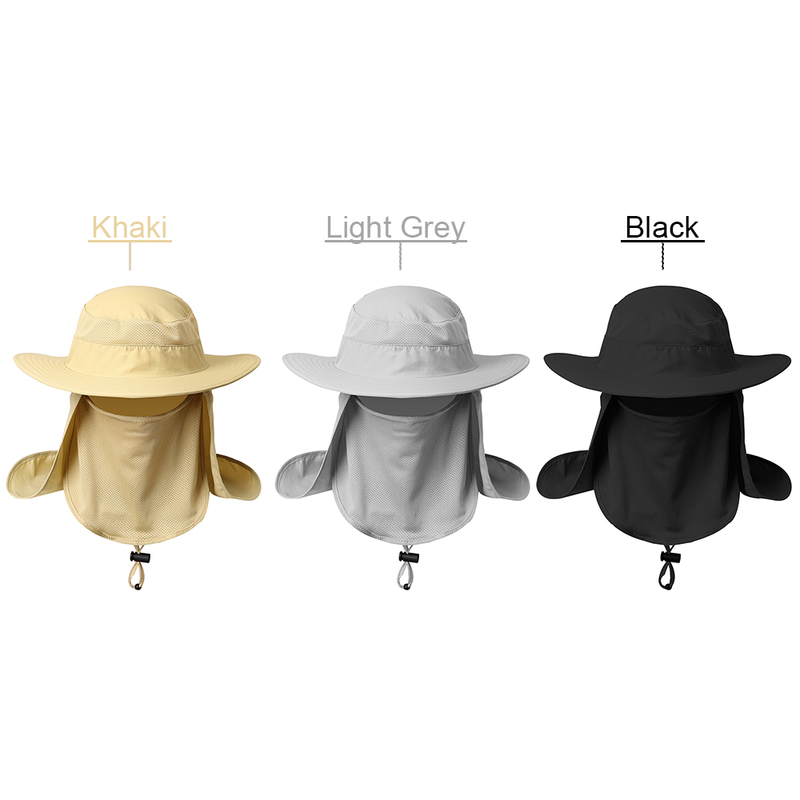 Perfect for fishing, camping, hiking, hunting, gardening, boating, etc.